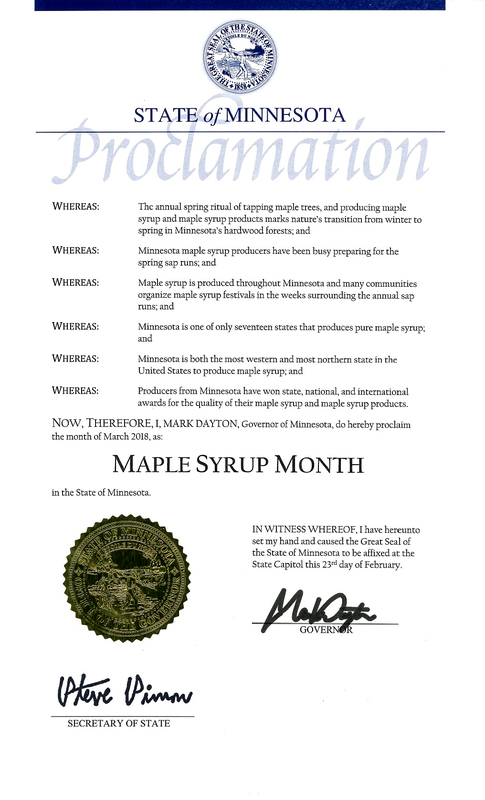 March is Maple Syrup Month - A State of Minnesota Proclamation - Sawtooth Mountain Maple Syrup Co.Sawtooth Mountain Maple Syrup Co. This entry was posted in Cool stuff!, In The News by SawtoothMaple. Bookmark the permalink.